Every golfer who likes playing golf in Branson must be armed with the proper set of golf clubs. Golfers are usually allowed to carry only 14 clubs at a time. You can actually carry more when you’re just practicing at a driving range, but you’ll need to bring all the golf essentials when heading to the course. Woods, Irons, Wedges, Putters, and Hybrids are the types of golf clubs that you need to bring when you want to play golf in Branson. Woods has a description of a bulging club head and flat bottom and often used for a long range shots. The size of wood clubs ranges from 6-26 degrees. The 1 wood is also referred to a “driver”. Irons feature solid heads and flat faces, and they are used for the fairway or the greens. Played on the fairway are long irons, while short irons are used for difficult playing grounds. Wedges are type of irons that are used for specific shots. For example, sand wedges have special bottoms for rough shots while log wedges have a high loft used for approach shots. Putters come in a wide variety of head shape and they are known for their low lofts and short shafts, but they come with different club heads. This type of golf club is commonly used on the green, but is occasionally used from the bunker and select approach shots. Hybrids are a type of golf club which has a combination of fairway wood and long iron. This type of golf club has a larger head and carry more weight than regular irons, but is smaller than the common wood. Hybrid has no bulge or roundness in the face, but bottoms have markings on them. When you want to level up your golfing experience, here are the top 3 golf clubs that you need to use such as Callaway, TaylorMade, and Titleist. Callaway was the one used by Trevor Immelman, winner of the 2008 PGA Championships. “I was blown away by their commitment to producing the most cutting edge, highest quality equipment in the game of golf,” Trevor said after signing with the firm. TaylorMade golf club is the top-played drive on the PGA Tour for the previous decade. This brand has won gold medals in the driver, woods and hybrid categories. This top-selling brand was named by Golf.com in woods in 2010 because TaylorMade’s R&D Department has come up with a plethora of unique technologies over the years. During the PGA Tour events in 2011, there were more Titleist putters, wedges and irons used than any other brand. Many Titleist clubs were recognized by the Hot List, giving them gold medals in the driver, woods, hybrid, game improvement irons, and wedge categories. 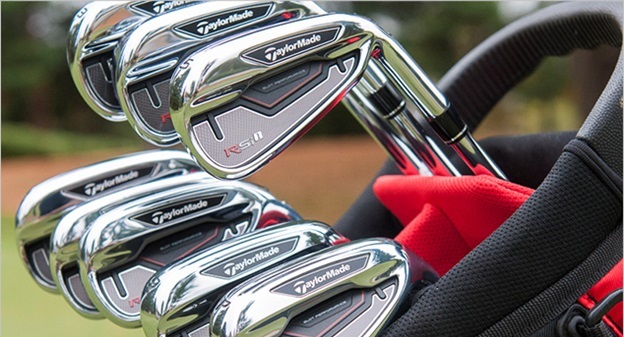 “Mixed Metal Iron Design” Award was given to the Titleist AP2 Irons by Golf Tips. Playing golf in Branson is a great way to level up your golfing experience if you use the top 3 golf clubs that are recommended by pro golfers.